Remember Albania? The crackpot Communist country where they used to cut your hair at the airport if it was too long? Where they hated everything Western, but went crazy over Norman Wisdom films? Once upon a time, the only tourists it welcomed were serious-minded students of Stalinism. Today, it is bucket-and-spade families in search of a bargain beach holiday, and a lot more besides. Albania is a little like Spain 50 years ago, with prices to match. Take a break on its Adriatic coast, and as well as enjoying miles of sandy beaches, you have timewarp prices that will bring a smile to your lips, too. Coffee at 40p per cup, beer at 90p per pint, wine at £4 a bottle. What’s more, you don’t have to fly over several different time zones to get there. From Gatwick, there are four British Airways departures per week to the Albanian capital, Tirana, and you’re in the air for just under three hours. Which is less time than it takes to travel to Greece. And once you have landed, there are no long, stomach-churning coach transfers across the mountains: just a quick, 30-minute drive down the motorway. 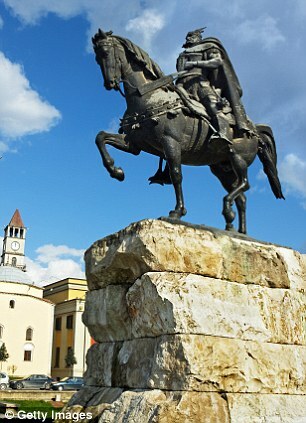 Two of the biggest destinations are the holiday town of Durrës (ancient Dyrrhachion), and the nearby resort of Golem. Of the two, Durrës is the more built up. For many years, this was just about the only holiday destination available, both to Albanians and their landlocked cousins in Kosovo and Macedonia. This makes it the Blackpool of the Balkans, only with dancing bears on the prom instead of illuminations. Like its Lancashire counterpart, the Durrës seafront is wall-to-wall hotels, bars and restaurants, which means you enjoy a front-row view of the ocean wherever you are staying, eating or drinking. The fact that a steak-and-wine dinner costs just 1,000 Albanian lek (around £6) tends to add yet more lustre to the sunsets. One thing you cannot expect in Durrës, though, is solitude. It is busy to bursting in the summer months, so if you find yourself casting envious glances back up to the top of the hill, where the summer palace of Albania’s former King Zog (ousted in 1939) stands in splendid isolation, you might prefer to stay a few miles down the waterfront, at the resort of Golem. 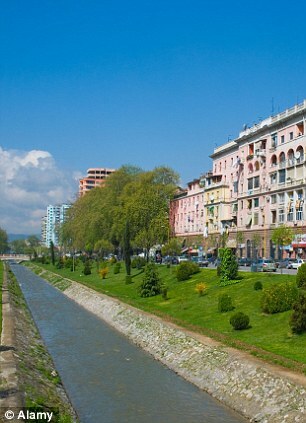 This pleasing hotspot is no less popular than Durrës, but it is not as built-up and more leafy. A £3 taxi ride will take you to lovely Lalzit Bay, where, apart from miles of unspoilt sand, the only building in sight is the Insifa beach restaurant, serving seafood spaghetti at £2.50 a time, with a bottle of surprisingly nice Albanian white wine for £4.20. Be warned, though, because this state of pre-bulldozer paradise will not last for ever. Already, construction has started on a big, new upmarket apartments-and-villas development in Lalzit Bay, with British buyers on board. One of them is 65-year-old Chris Esdale-Pearson, a retired ship’s pilot from Harwich, in Essex, who bought a one-bedroom apartment with his wife a year before the development was due to open. Some consider it Europe’s last secret spot. Hardly surprising, since for most of the second half of the 20th century, the country was cut off from the rest of the world, ruled by paranoid Communist dictators who brainwashed the nation into believing that Western invasion was a daily threat. Those brave tourists who did visit the country found themselves subjected to all sorts of indignities, from being tailed by the secret police, to having their hair cut on arrival (Beatle mops were seen as a sign of decadence). Things did not really improve after the Berlin Wall was puled down. Strikes and demonstrations were followed by a disastrous get-rich-quick craze, in which half the country invested their homes and life savings in schemes paying unfeasibly high interest rates, and lost the lot in 1997, when they collapsed. Sixteen years ago, then, this was a land in which the streets were ruled by armed gangs and desperate, poverty-stricken mobs. 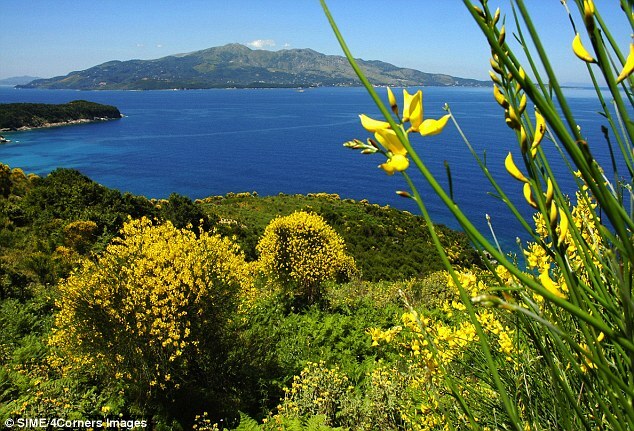 Today it’s a holiday destination which has the winning combination of being both affordable and undiscovered; most Brits only know it from having made day trips from the Greek island of Corfu to Sarande, Albania’s southernmost port (100 miles south of Tirana). It is not only the beaches that make Albania appealing. 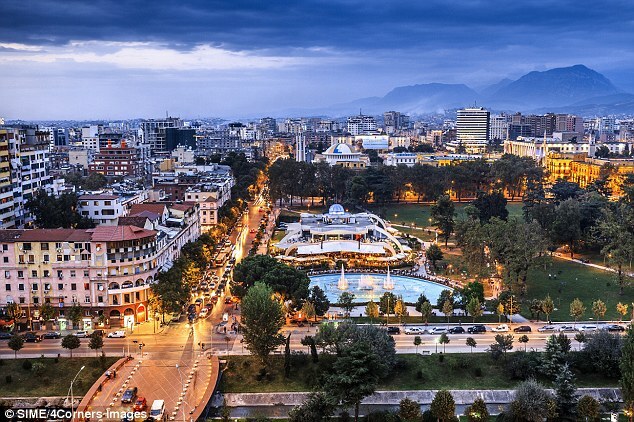 It is well worth incorporating a couple of days in the capital, Tirana. Despite the decades of economic hardship, the city turns out out to be a metropolis of elegant avenues, boasting plenty of parkland, plus an array of attractively marzipan-coloured buildings, deployed around grassy Skanderbeg Square. As for the choice of places to stay, you can opt for the upmarket Rogner Hotel, near the Prime Minister’s residence, with gardens, tennis court and swimming pool, or else go for the smaller, homelier Villa Tafaj, a clean and prettily-arcaded hotel in Mine Peza Street. Either way, you are only a five-minute walk from the city centre, and the lovely, almost Alpine-looking Sarajet Restaurant, in Abdi Toptani Street. Here you can sip a glass of beer in the shaded courtyard, or eat vast veal chops (berxolla vici), beneath intricately carved wooden ceilings. After which, a trip to the top of the (slowly revolving) Sky Tower provides a panoramic view over the rooftops to the surrounding mountains. At the same time, though, the full force of globalisation and commercialism has not steamrollered into Tirana, ironing out the local peculiarities. Pirimida, the crumbling old ‘International Centre of Culture’, was once a museum to the feared dictator Enver Hoxha, and now awaits demolition. The fast food outlets retain their own unique identities: there’s AFC (Albanian Fried Chicken) instead of KFC, and there’s Kolonat, which serves burgers, but has as its symbol an exploded version of the McDonald’s M-shaped yellow arches. What’s more, the language has an identity all of its own. When you’re attempting to say “thank you”, the phrase is 'faleminderit'. As for “goodbye”, it’s not 'ciao' or 'au revoir', but 'mirupafshim', which sounds more like a sneeze than a farewell. This is Europe, then, but not as we know it. Nevertheless. 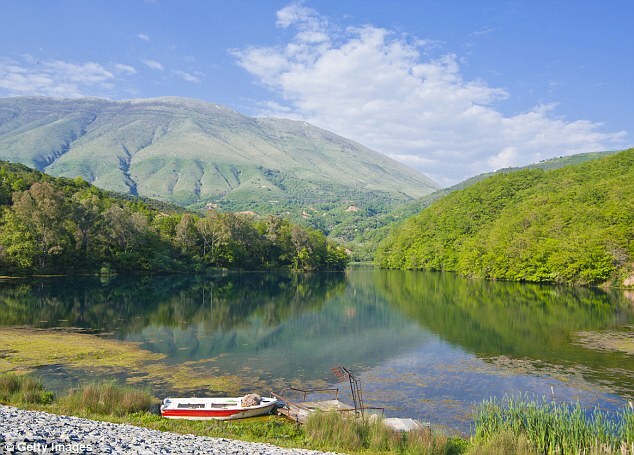 with a million expatriate Albanians pumping money back into the homeland, and with tourist numbers increasing all the time (four million last year), you cannot help feeling that if you want to catch the authentic Albania, you had better go there soon.